Find all of Durango's best resources for keeping your body as healthy as it should be. Providing world-class nutritional supplements, AdvoCare is dedicated to helping others create and support lifelong healthy habits. Since 2001 our practice has focused exclusively on providing traditional naturopathy via specifically customized holistic wellness programs. Experience state of the art cryotherapy, using sub-zero temperatures to create conditions for tissue regeneration and repair. It could be the best three minutes of your life! 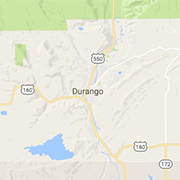 Durango's performance facility for recreation, Durango Sports Club offers a composite list of gym resources from weights and machines to a sauna and pool. Wild West Squares is dedicated to growing Square Dance in the Four Corners, providing an opportunity for students of all levels to continue learning--and have fun doing it!